Today, Facebook is viewed by many people as a cathartic place to share their healthcare struggles, find support, and help relieve stress as they face their own medical problems or those of loved ones. While some would think that privacy would be an issue, eMarketer reports that 50 percent of users are not very concerned about it, with numerous online communities encouraging sharing for years with different degrees of anonymity. Given the acceptance of Facebook as a health forum, it is essential for your healthcare brand to have a presence on the social media site. 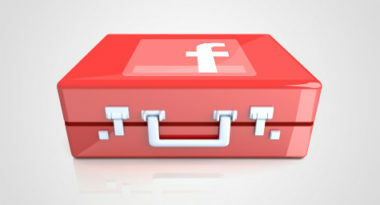 MediaPost.com offers the following advice on establishing a healthy Facebook presence for your brand. 1. Position Your Brand As The Expert – Healthcare seekers are looking for the best advice in order to achieve the best outcomes, so position yourself accordingly. Hire experts to contribute their knowledge and strive to post content that highlights the latest relevant developments. 2. Have A Skilled Moderator – It’s very important to have a person dedicated to creating original content and constantly being available to answer user questions. This will allow your brand to control the tone and message of your communications while inspiring loyalty and trust. 3. Engage In Creative Ways – Keep users interested by including polls, apps and games that provide education and support in fun ways. 4. Link To Other Resources – Make it easy for users to find additional information and support by featuring links to outside resources. 5. Promote Your Facebook Presence – Drive consumers to your community by investing the time, money and commitment necessary. Use your other advertising and digital efforts to promote your Facebook page and gain new fans. Facebook has become a safe haven for people seeking healthcare advice and support, so now is the time to develop your Facebook presence and gain the robust rewards of connecting with your community. Read the Media Post article on healthcare marketing. MDG Advertising, a full-service Florida advertising agency with offices in Boca Raton and New York, NY, specializes in developing targeted Internet marketing solutions, exceptional creative executions and solid branding and media buying strategies for the healthcare industry. Our core capabilities include print advertising, branding, logo design, creative, digital marketing, media planning and buying, TV and radio advertising, customer relationship management, loyalty programs, public relations, Web design and development, email marketing, social media marketing and SEO. View MDG Advertising’s creative marketing portfolio.